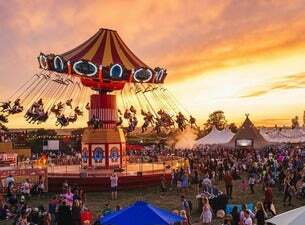 Celebrating its eighth year, The Big Feastival will return to Alex James’ Farm on 23 – 25 August 2019. If you like good food and great music, then this is the perfect event because it brings the two together. Headling this year's edition will be platinum-selling duo Rudimental, Grammy Award winner Jess Glynne and Manchester indie-rockers Elbow; while food is provided by the likes of Raymond Blanc, Prue Leith and Gennaro Contaldo. Also on line-up are performances by the likes of Lewis Capaldi, The Zutons, Jade Bird, Nina Nesbitt, Fun Lovin’ Criminals, The Craig Charles Funk & Soul Show, Barns Courtney, DJ Luck & MC Neat, The Cuban Brothers, Four of Diamonds, Duke and more. Food will also be provided by Andi Oliver, James Lowe, Tom Brown, Daniel Clifford, Martin Morales, Candice Brown, Jodie Kidd, DJ BBQ and many more. A family-friendly festival, The Big Feastival has loads to keep the kids entertained including live entertainment from TV star Justin Fletcher, PAW Patrol’s Chase & Marshall and Peppa Pig and George. There will also be tree climbing, a farm park and children can take part in workshops with the Royal Shakespeare Company. As well as family fun and entertainment, The Big Feastival continues to promise a live music and food experience like no other all hosted in the beautiful Cotswolds setting of Kingham.